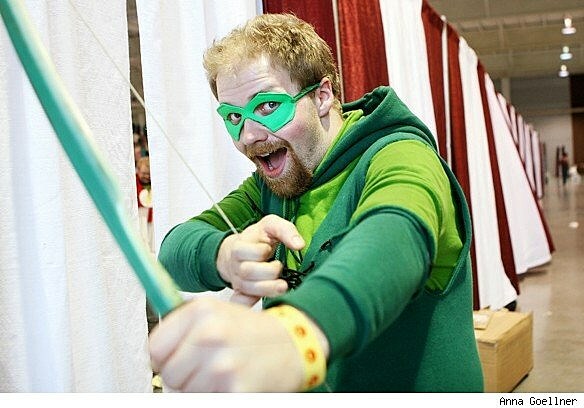 While several corners of geekdom were sufficiently lured to Boston by PAX East this past weekend, Midwesterners had the chance to partake in the more mild, but no less enjoyable Planet Comicon in Kansas City. 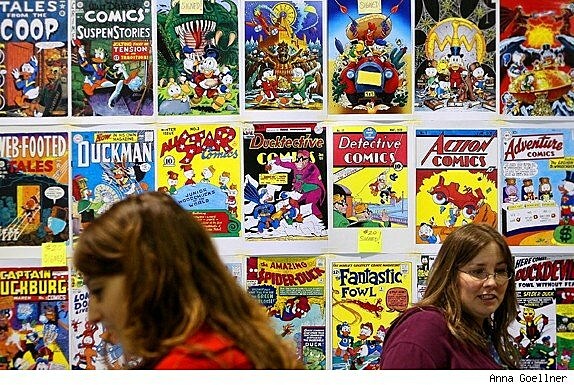 ComicsAlliance was there for a bustling day one of the weekend-long show, which featured comic creators and multimedia guests ranging from Jason Aaron and Matt Kindt to Lou Ferrigno and Helen Slater. 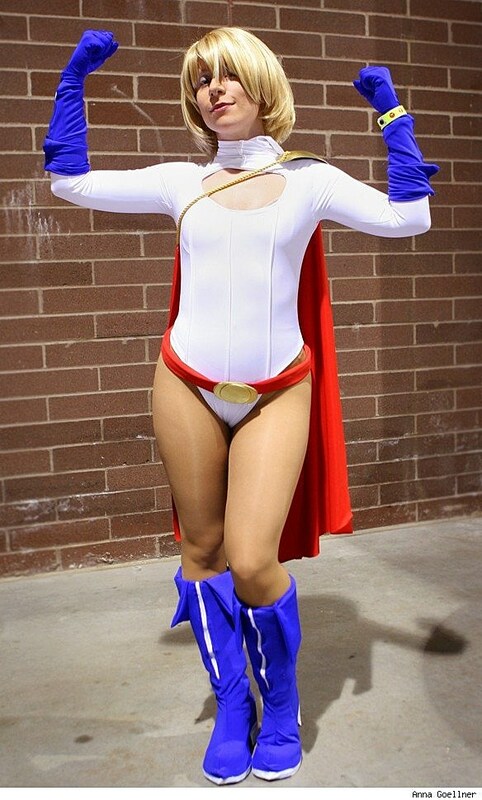 Convention staff remarked on the convention center's full parking lot and healthy turnout while vendors and creators stayed busy with a steady flow of customers and fans through the morning and into the afternoon of day one. 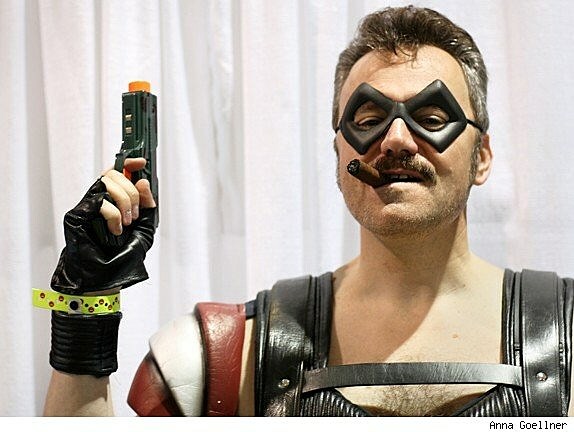 Check out a smattering of shots of the show's guests and attendees from the first day of Planet Comicon 2010 after the jump.The Comedian chomps his cigar. 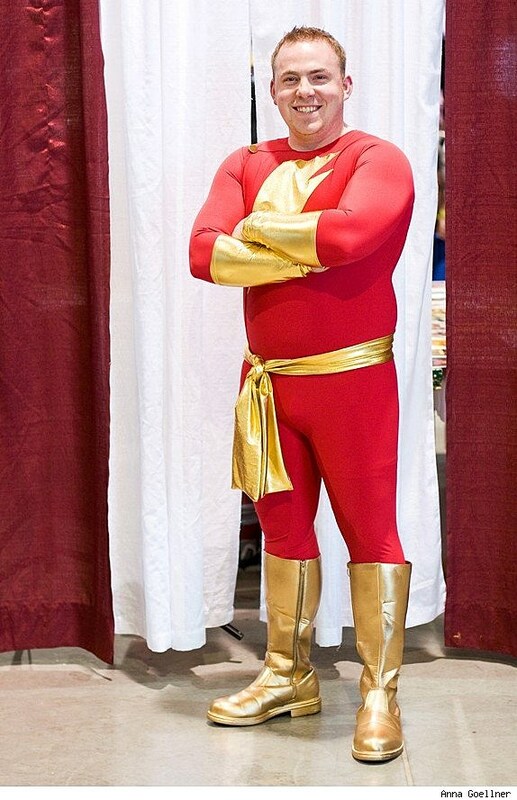 Captain Marvel preps for some Shazam! time. 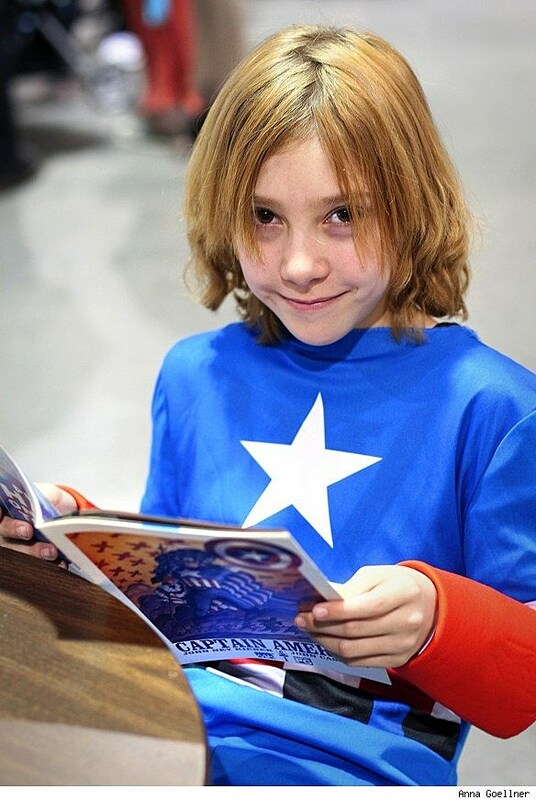 A young fan reads up on Captain America. 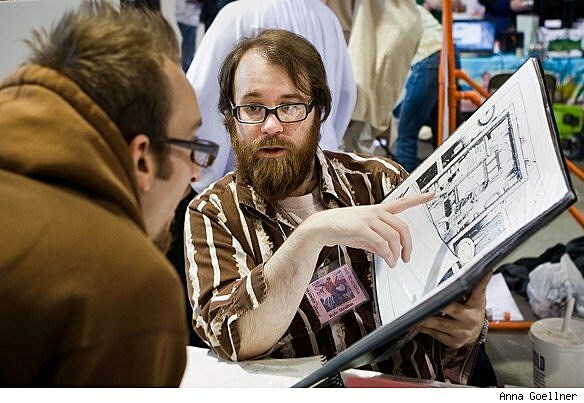 Kyle Strahm shows a fan pages from IDW's "We Will Bury You." 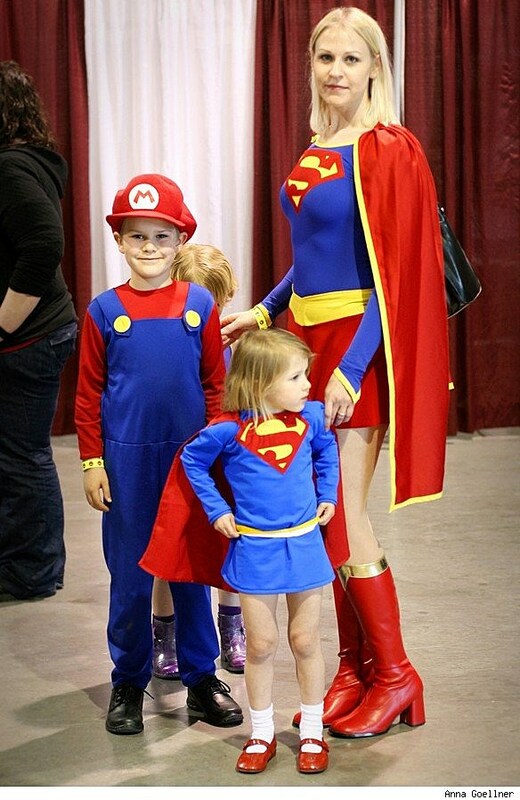 A family of Supergirls and a Super Mario pose for a group shot. 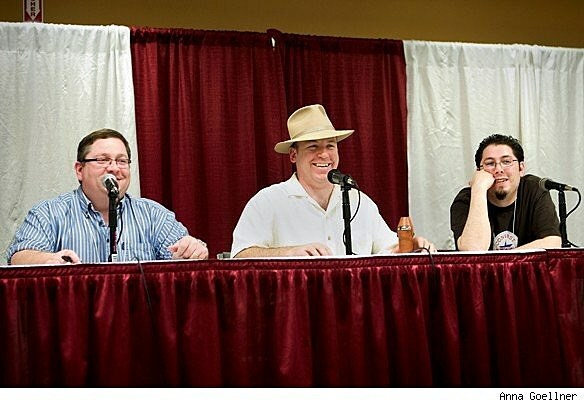 Phil Hester, Ande Parks and Jai Nitz at the "Green Hornet" panel. 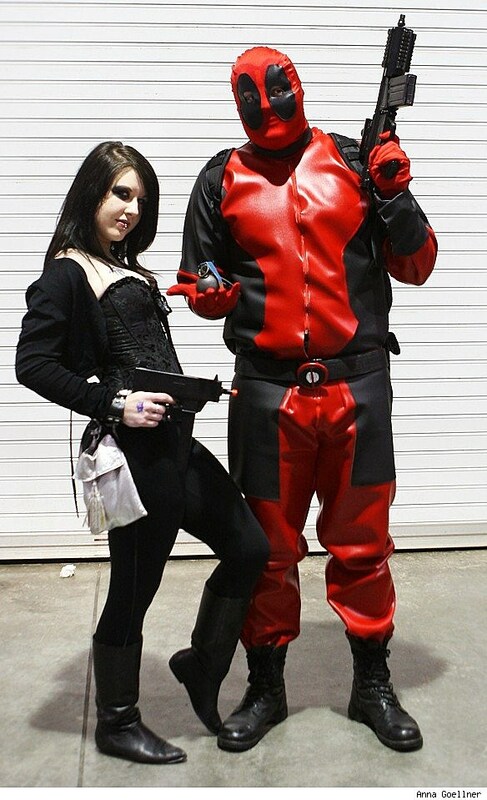 Cosplayers show off their gear. Comic book cover mashups starring Uncle Scrooge and his extended fowl family. 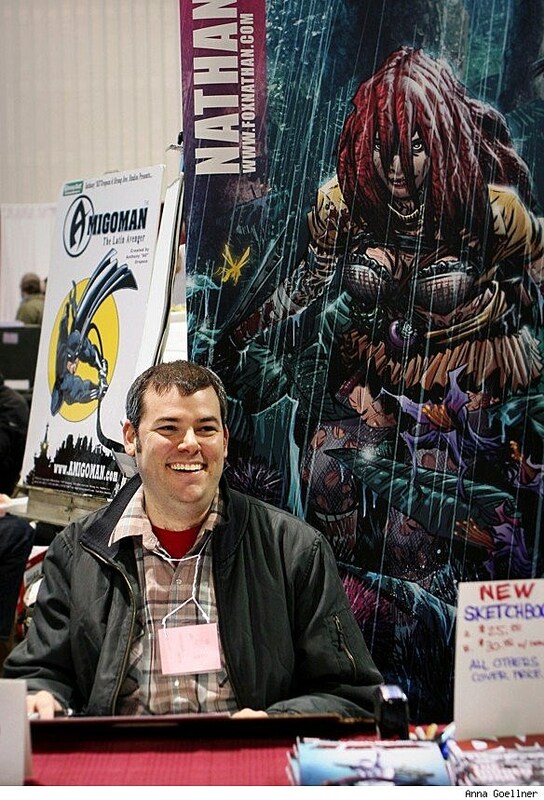 "DMZ" and "Pigeons From Hell" artist Nathan Fox works on a commission. 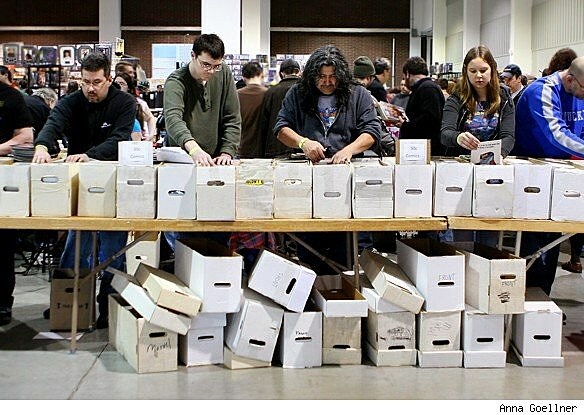 Convention attendees dig through longboxes. 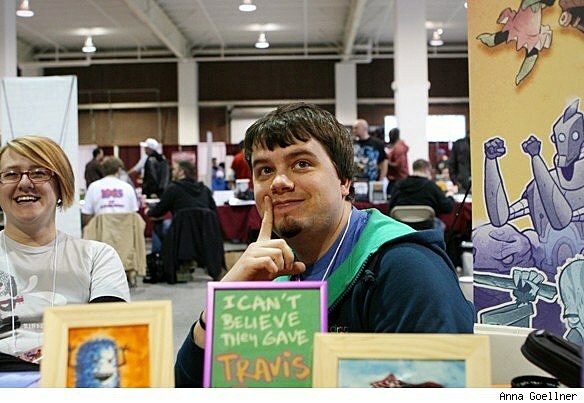 Travis Fox thinks some thoughts - to his wife's amusement. 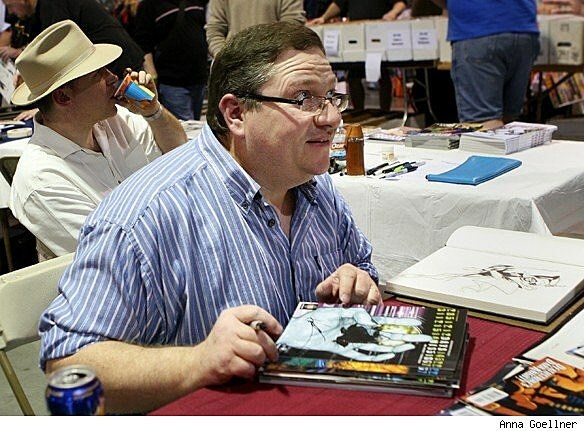 "Firebreather" creator Phil Hester signs while "Union Station" writer Ande Parks sips. Supergirl takes a nap on her Captain America fan father. 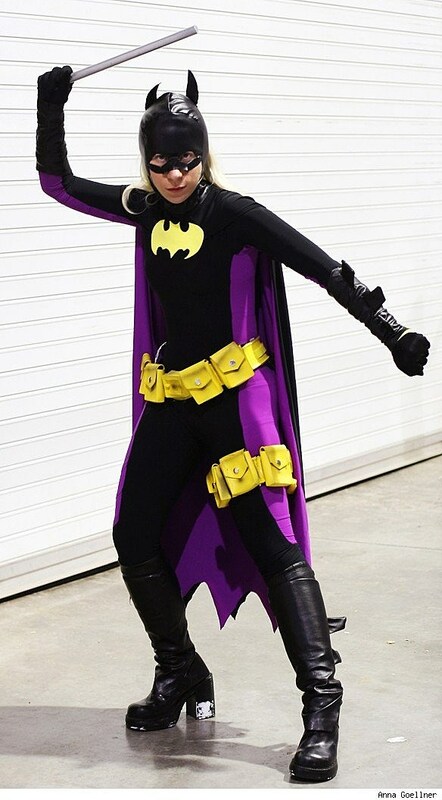 A cosplayer shows off a new Stephanie Brown Batgirl costume. 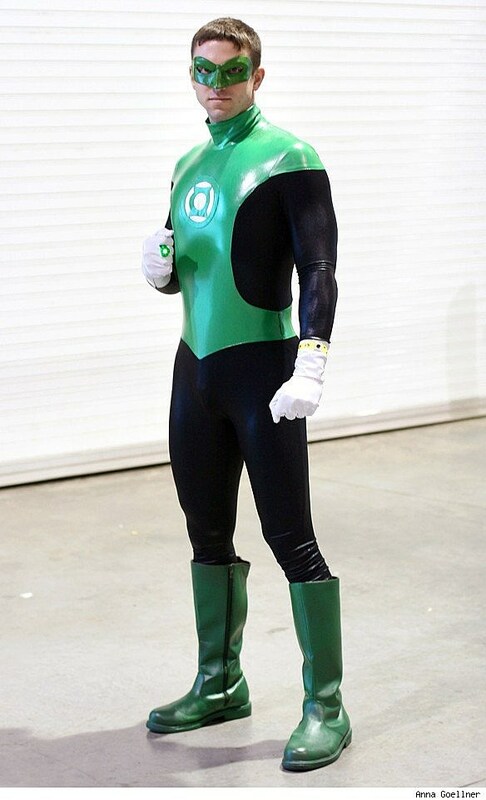 Green Lantern overcomes a yellow wristband in order to enjoy the benefits of a two-day convention pass. 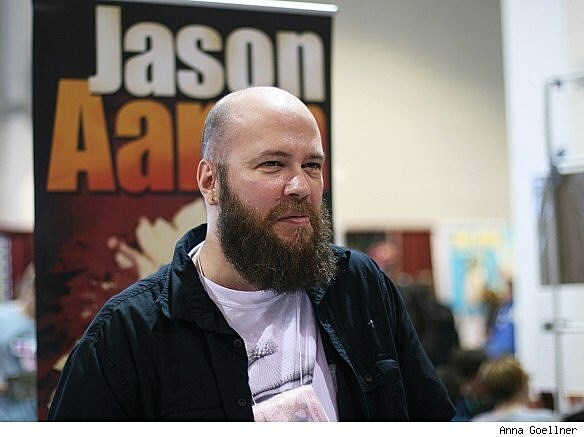 "Scalped" creator Jason Aaron smiles beneath a manly beard. 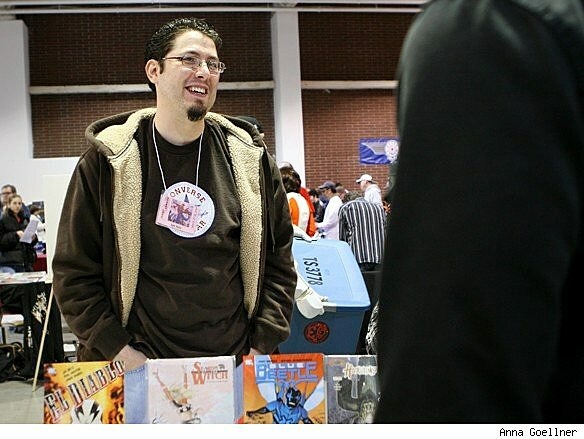 "El Diablo," "Blue Beetle" and "Season of the Witch" writer Jai Nitz talks to fans. 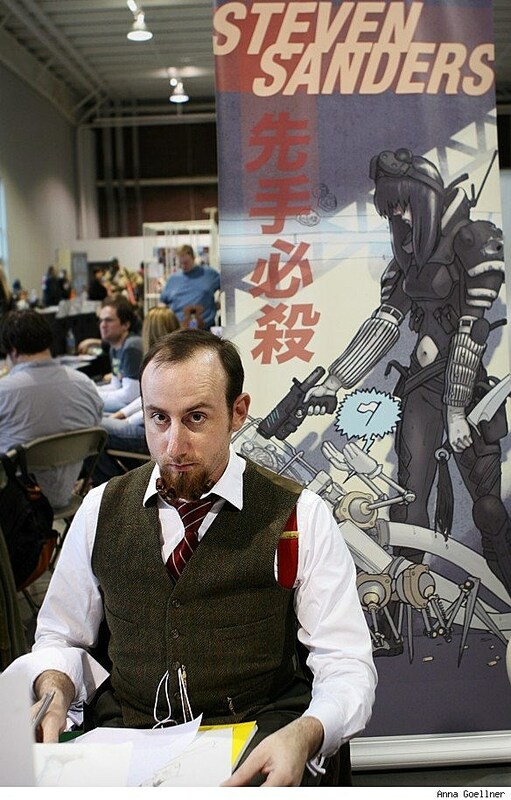 "Sword" and "Five Fists of Science" artist Steven Sanders looks up from a sketch. 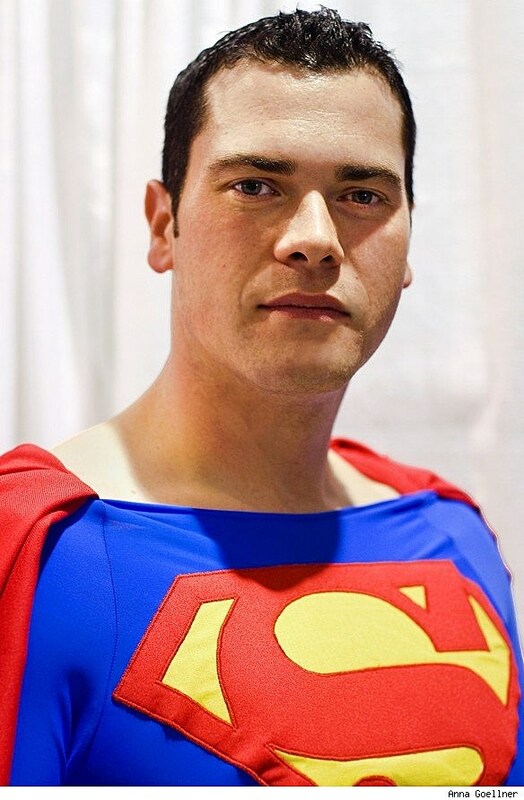 A Superman cosplayer focuses his Man-of-Steely gaze.